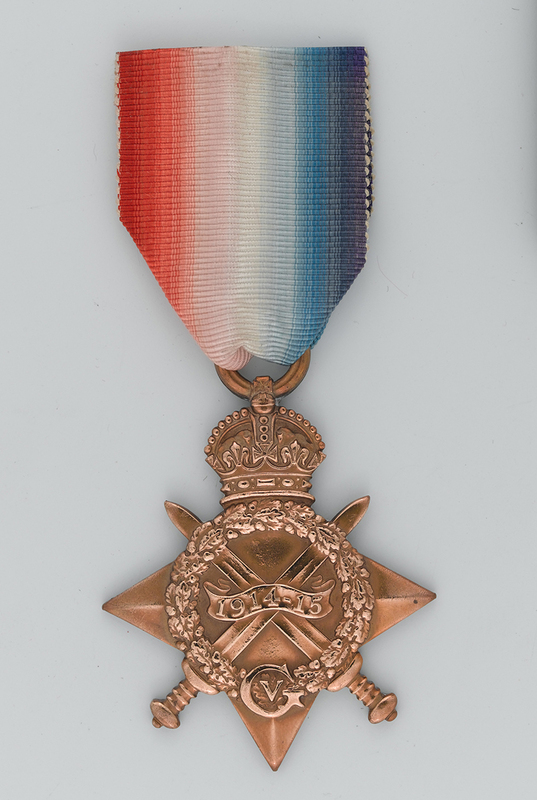 Temporary Captain Allastair McReady-Diarmid of the 17th (Service) Battalion, The Duke of Cambridge’s Own (Middlesex Regiment), was awarded a posthumous Victoria Cross during a moment of crisis on the Western Front in December 1917. His gallantry and cool command helped resist a German counter-attack at Moeuvres near Cambrai. The British offensive at Cambrai (launched on 20 November 1917) had met with initial success and seen the attacking troops break deeply and quickly into the German defences. But progress slowed as German resistance increased. Units became isolated and there were communication difficulties amid the intense fighting. On 30 November, the Germans launched a major counter-attack against the salient created by the British operations. Using intensive artillery fire, gas attacks and infantry tactics that made use of infiltrating ‘storm troops’, they advanced deep into British lines, causing panic in some areas and threatening to cut off several divisions in a trap. Reinforcements, including the 17th Middlesex – part of 6th Brigade in 2nd Division – were rushed to the front. The fighting along the Canal du Nord in the Moeuvres sector was especially fierce. 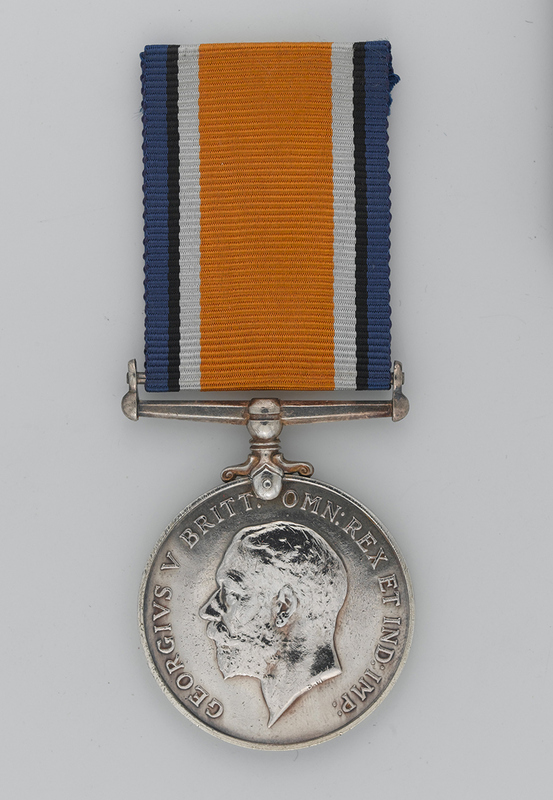 Between 30 November and 1 December McReady-Diarmid demonstrated such bravery and leadership there that he was awarded the Victoria Cross. 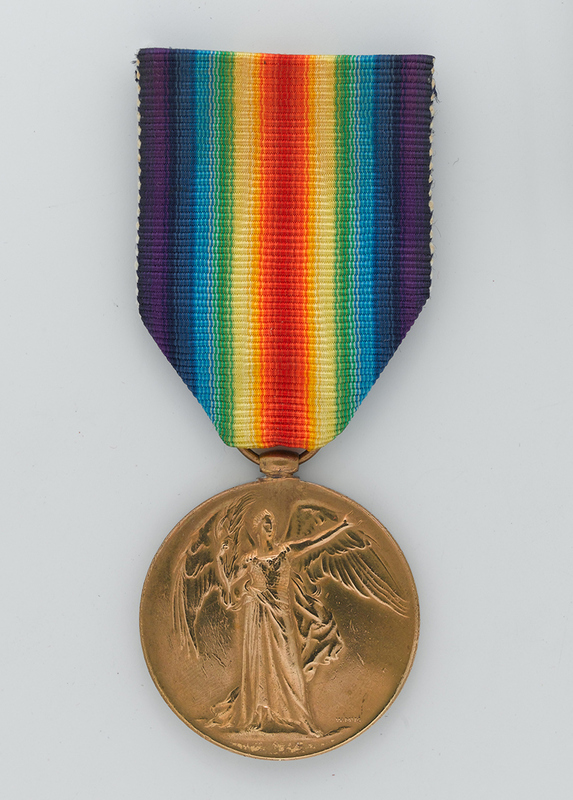 ‘For most conspicuous bravery and brilliant leadership. When the enemy penetrated some distance into our position and the situation was extremely critical, Captain McReady-Diarmid at once led his company forward through a heavy barrage. He immediately engaged the enemy, with such success that he drove them back at least 300 yards, causing numerous casualties and capturing 27 prisoners. McReady-Diarmid killed and wounded an estimated 94 enemy soldiers before he fell. The regimental history called it ‘a feat which can hardly, if ever, have been equalled in the past’ and ‘probably the finest bombing feat of the war’. The fighting raged on and the British launched improvised counter-attacks. The German assault eventually ran out of steam as they suffered similar problems to those faced by the British at the start of the battle, such as getting reinforcements and supplies forward and battlefield communications and command breaking down. On 3 December, Field Marshal Sir Douglas Haig ordered a withdrawal ‘with the least possible delay from the Bourlon Hill-Marcoing salient to a more retired and shorter line’. Despite the bravery of men like McReady-Diarmid, British forces were forced to retreat, leaving them with only some of the gains they had made at the start of the Cambrai operation. In four days of fighting the 17th Middlesex had lost two officers and 40 other ranks killed, and four officers and 138 other ranks wounded. Overall British battle casualties for Cambrai amounted to 44,000 killed, wounded or captured. The Germans sustained around 45,000 casualties. Allastair Malcolm Cluny McReady-Diarmid (1881-1917) was born Arthur Malcolm Drew on 21 March 1888 at New Southgate to Herbert and Fanny Drew (née McReady). His father was a civil servant with the Post Office. Allastair lived with his parents and three brothers at 1 Hermitage Road, Tottenham. His mother was a native of Jersey so the family briefly moved there before returning to Middlesex where they resided at 71 Goldsmith Avenue, Acton. Allastair was educated at Queen Elizabeth’s Grammar Preparatory School for Boys in Barnet, Victoria College in Jersey, Ealing Grammar School and the University of London. In March 1915 he was commissioned as a second lieutenant, via the University of London Officer Training Corps, into 4th Battalion The Duke of Cambridge’s Own (Middlesex Regiment). Soon after arriving on the Western Front Allastair was wounded by a shell burst and sent to recover at hospital in Dursley, Gloucestershire. While there he met Hilda Dainton, and after a quick romance married her on 20 September 1915. The couple set up home at Springfield in Dursley. They had a daughter Alizon, who was born in May. Around this time he also changed his name by deed poll. This may have been because his family did not approve of the wedding. 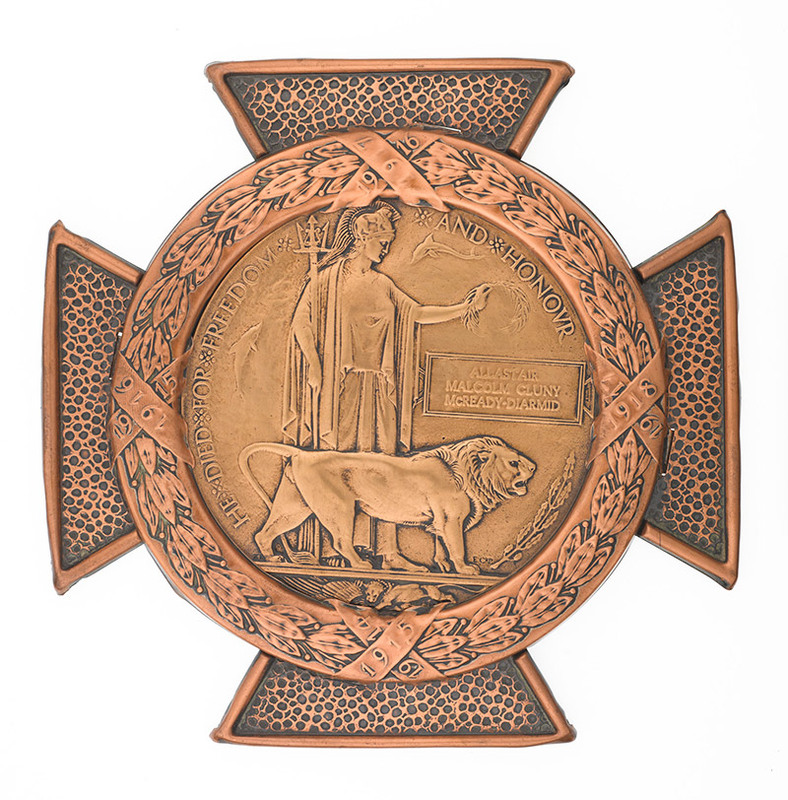 McReady-Diarmid returned to France in October 1915 and was soon wounded again. He returned home to convalesce and undertook training duties with a reserve battalion in Kent. On travelling back to the front he was attached to the 17th Battalion in April 1917, serving with the latter at the Battle of Arras (April-May1917). Promoted to lieutenant on 1 July, he returned to Dursley on leave in the summer to see his newborn daughter for the first and only time. 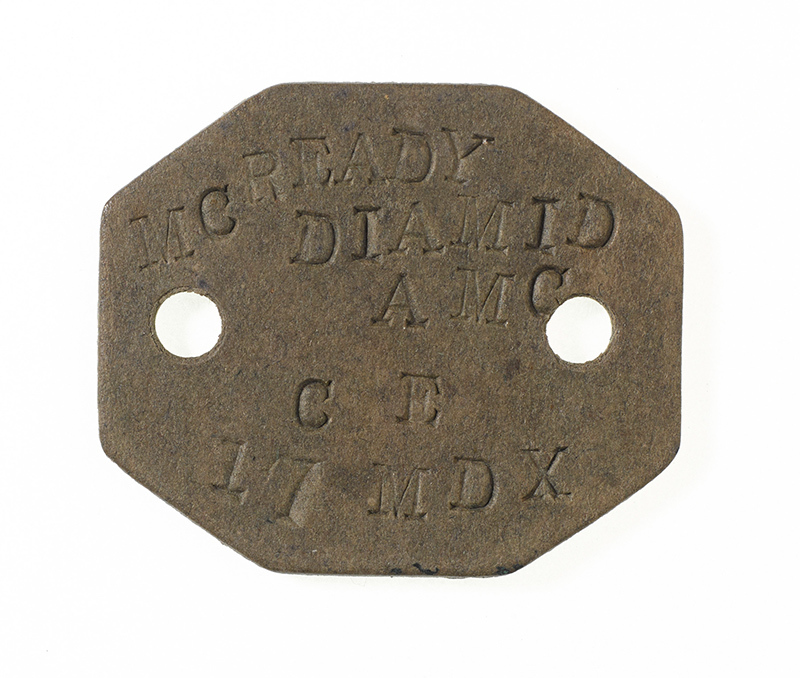 Promoted to temporary captain on 26 October 1917, McReady-Diarmid’s battalion was in the Cambrai sector with 2nd Division when it was sent forward to help 6th Brigade stem the German counter-attacks at Moeuvres. On 20 April 1918, King George V presented the VC to his widow Hilda at Buckingham Palace. In April 1927 his daughter Alizon wore his cross when she met the Prince of Wales during the opening of the White Rock Pavilion in Hastings. McReady-Diarmid’s name appears on the Cambrai Memorial at Louveral. He is also commemorated on Dursley War Memorial and by a paving stone at New Southgate installed in 2014 by Enfield Council to mark the centenary of the First World War. A school house is named after him at Victoria College, Jersey. The college also holds a ceremonial sword that belonged to McReady-Diarmid.